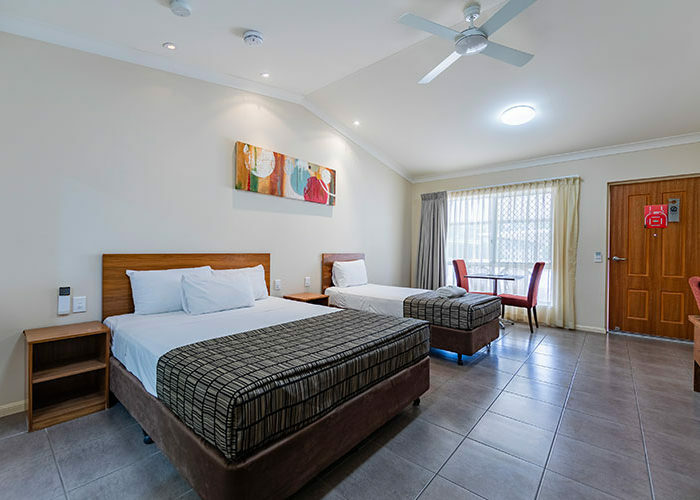 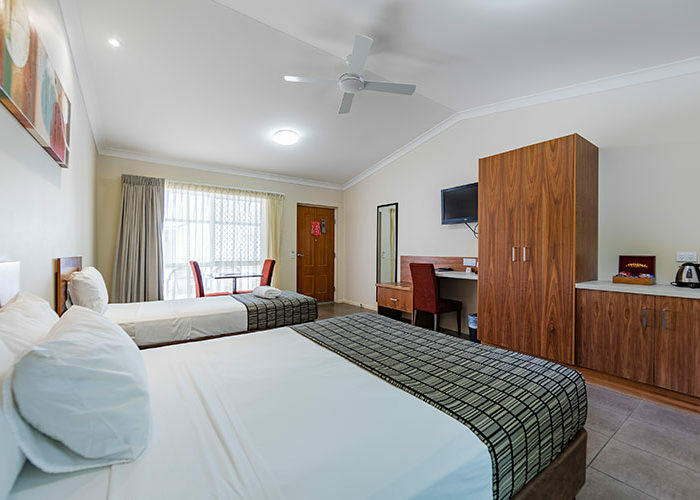 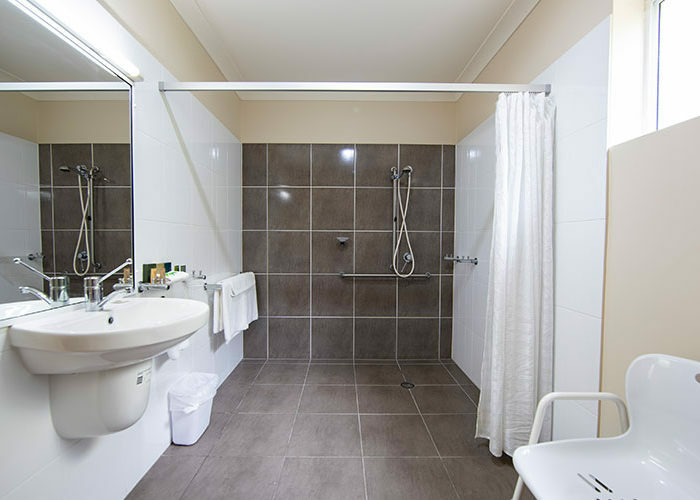 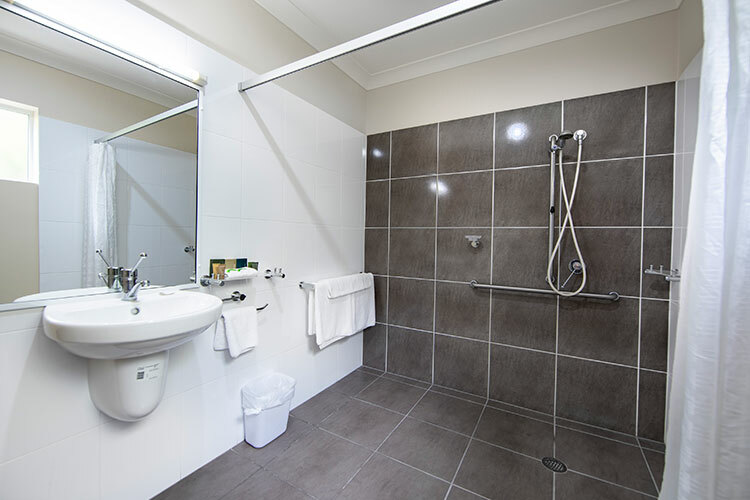 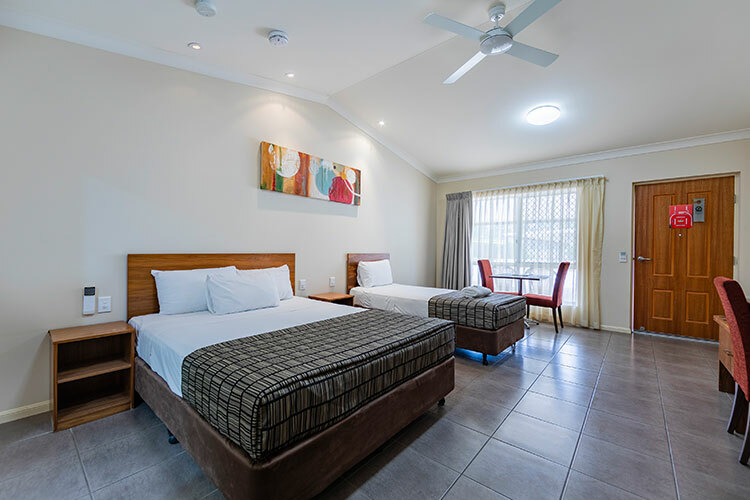 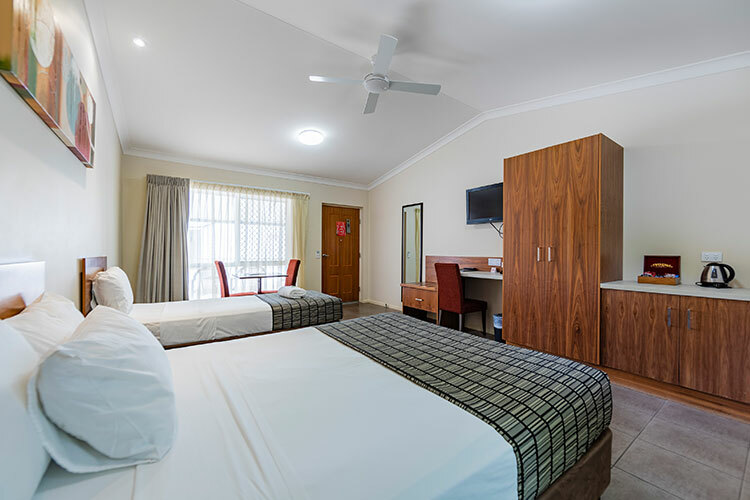 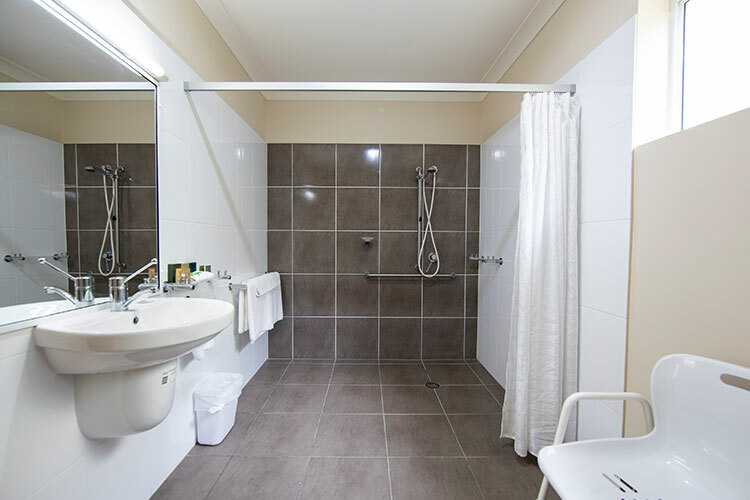 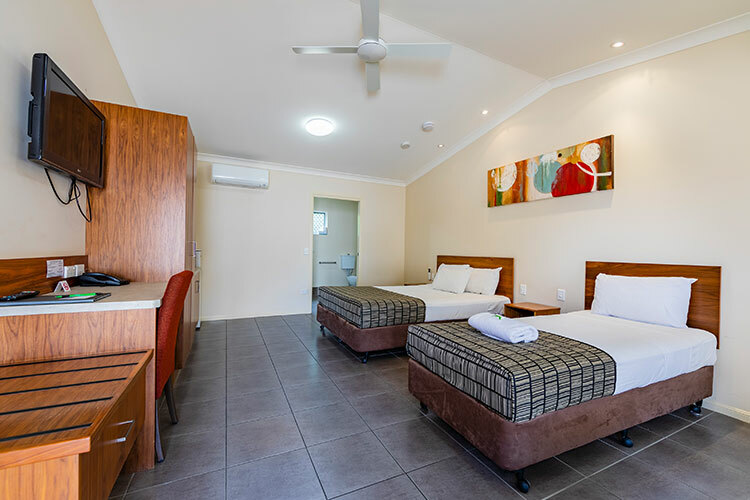 Our fully tiled Accessible Twin Rooms are completely wheelchair accessible and equipped for all of your needs. 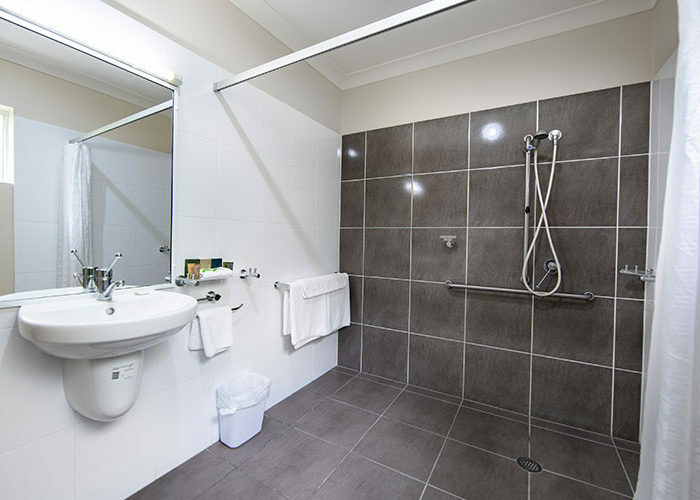 The bathroom is fitted with hand rails and adjustable shower head and also comes with a shower chair. 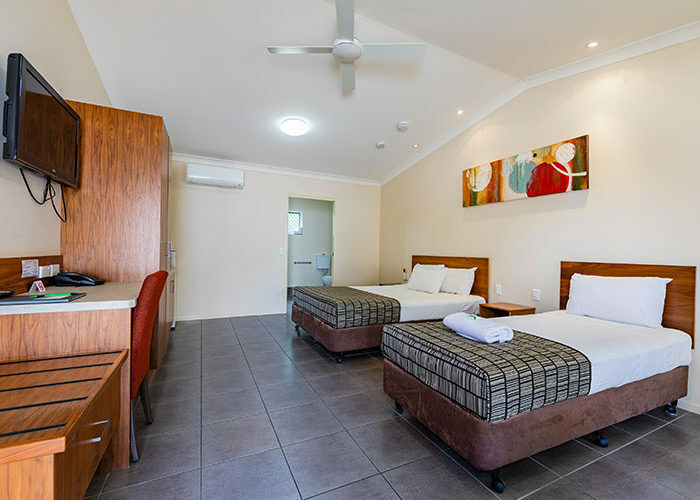 All Accessible Twin Rooms feature 1 Queen and 1 Single bed.